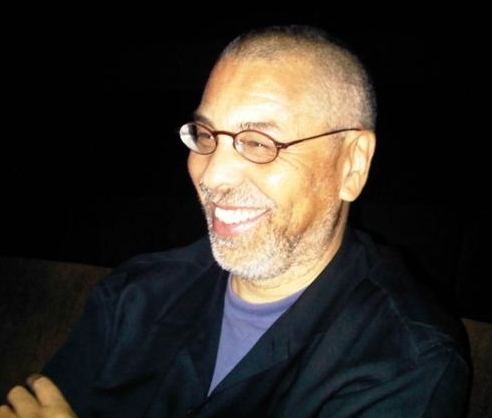 Peter J. Harris , founder and Artistic Director of Inspiration House, is an African American cultural worker who has since the 1970s published his poetry, essays, and fiction in a wide range of national publications; worked as a publisher, journalist, editor, and broadcaster; and been an educator, and workshop leader for adults and adolescents. Harris is also founding director of The Black Man of Happiness Project , a creative, intellectual, and artistic exploration of Black men and joy. He is a mainstay of the Los Angeles arts community and has been supported by P&W as both a writer and event curator. What are your reading dos? I choose poetry that feels right for the moment and best captures my artistic voice, as well as the ideas and emotions welling within me as I absorb the atmosphere of the venue. I try to contribute to the overall harmonics of the event, but prioritize sharing work that resonates with my journey as a human being and focuses the audience’s attention on that journey. When producing or curating, my essential “do” is to present programs that include virtuosos—poets with vitality and distinctive voices, who are enchanted by the power of well-chosen language. How do you prepare for a reading? Give thanks for the invitation. I choose work that addresses the theme of the reading and review works-in-progress I'm inspired to revisit, in hopes that my preparations might include sharpened insights and heightened skills to complete the new poem in time. Over the years, I’ve found that publicly reading freshly minted work is difficult, but exhilarating. I can’t rely on memory or familiarity to take it to the bridge. Reading a new poem makes me nervous, slows me down, quiets the room, and demands that I concentrate on feeling/capturing the nuances of the poem in real time. Under the right circumstances, folks in the audience experience and witness in a positive way the humility of my struggle, and they lean in to listen and join me on the exploration. What’s your crowd-pleaser, and why does it work? Honesty. Fearlessness. Conversational, passionate delivery of the poem. Resist the urge to lean on what some folks might call a signature poem. Place the poems first. The audience is there to hear the work, not to see me, even if I’m the “featured” poet. What’s the inspiration behind the Inspiration House PoetryChoir? Inspiration House PoetryChoir, a collaboration between a shifting roster of virtuoso poets and improvisational musicians, is my old KPFK radio show stood up on its feet. The radio show, “Inspiration House: VoiceMusic for Whole Living,” aired from 1999 to 2004 on KPFK-FM, Pacifica Radio for Southern California. The show featured poets reading their work to recorded music. Poets selected poetry in response to the music, and I selected music in response to the poetry. Inspiration House PoetryChoir events unfold in the same unscripted way, with the audience encouraged to respond spontaneously—with shouts of encouragement, amens, and affirmation—to the skill of the poets and musicians, stitching their voices into the dialogue, and helping to produce a testament to whole living. The Inspiration House PoetryChoir is also a reflection of my thinking that poetry readings can become ceremonies that are mini rites of passages, in which participants begin the experience in one state of mind/being; plunge into the deep exchange between poets sharing their work, while musicians improvise musical responses to the poetry, all of us losing ourselves within the blending of words, intonations, audience responses, and dynamic silence; then leave the gig renewed and recommitted to cultural work that contributes to the creation of a humane society. What do you consider to be the value of literary programs and the role of the writer in the community? Ideally, literary programs are concentrated opportunities to swap ideas, testimony, and stories that celebrate our uncensored voices. Sometimes they present virtuosos whose mastery sets or expands standards of excellence. Sometimes they are briar patches to intensify the creative and artistic intimacies of writers of a common cultural or stylistic flow. Sometimes they call us to cross borders and be ethical witnesses to the evolution of themes and issues that hip us and humble us, so we’re reminded to stay curious and hungry to learn. The role of the writer in the community? Scribe. Critic. Griot. Historian. Entertainer. Provocateur. Visionary. Tour-guide to big ideas, insecurities, and private insights that unlock public understandings. Mas o menos! Photo: Peter J. Harris. Credit: Adenike Harris. Major support for Readings/Workshops  in California is provided by The James Irvine Foundation . Additional support comes from the Friends of Poets & Writers .